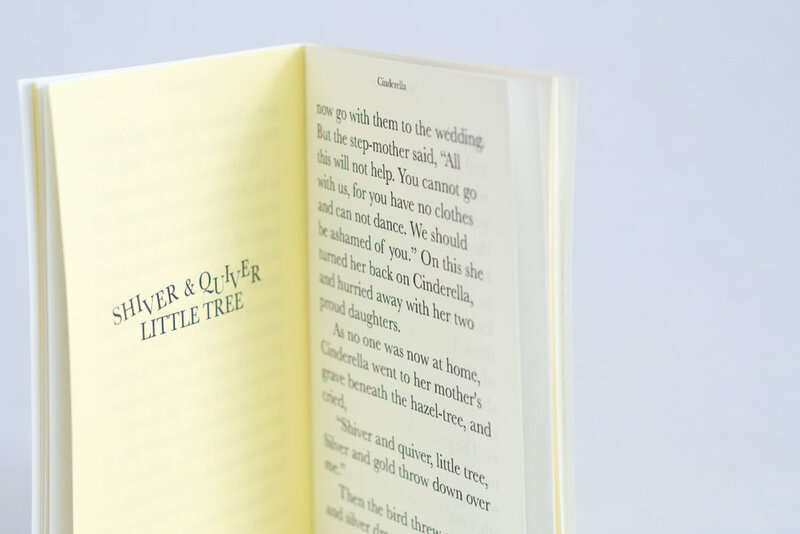 A whimsical series of 5 of the Grimm Brothers’ fairy tales which utilize typography and color to highlight the story. 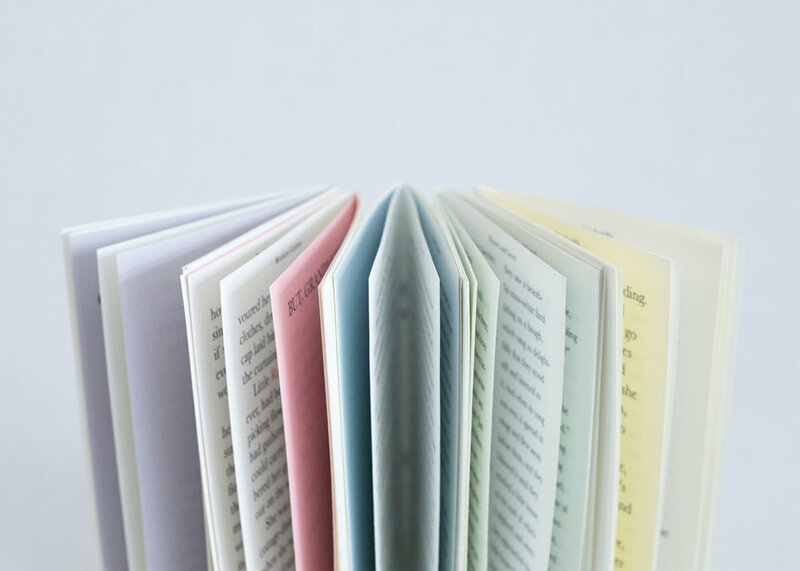 Each book is based uniquely on the content and storyline and each contains a slight difference in the typesetting. 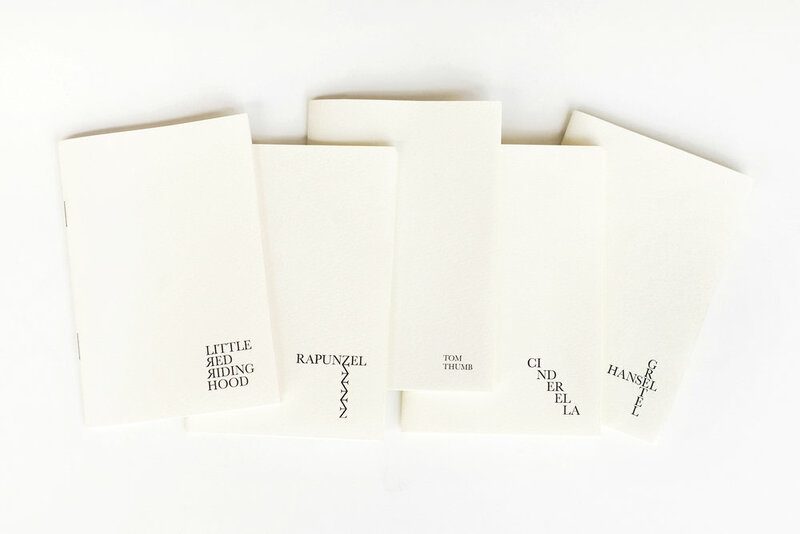 For example, Tom Thumb is set in a smaller font size, Hansel and Gretel always has two columns of text, and, every time someone says "Rapunzel, Rapunzel, let down your hair" in Rapunzel, the text cascades down the page.